The name Arai has been synonymous with quality and protective technologies since the beginning of their days and the Quantum X continues to push the bounds, proving why Arai stands at the top. The Quantum series has been the go to helmet for riders with a more round headshape and this stays true with the Quantum X, thanks to its balanced length and slight additional width. With the simple installation of a Corsair X head liner, the Quantum X can even be converted to fit those with an intermediate oval headshape. 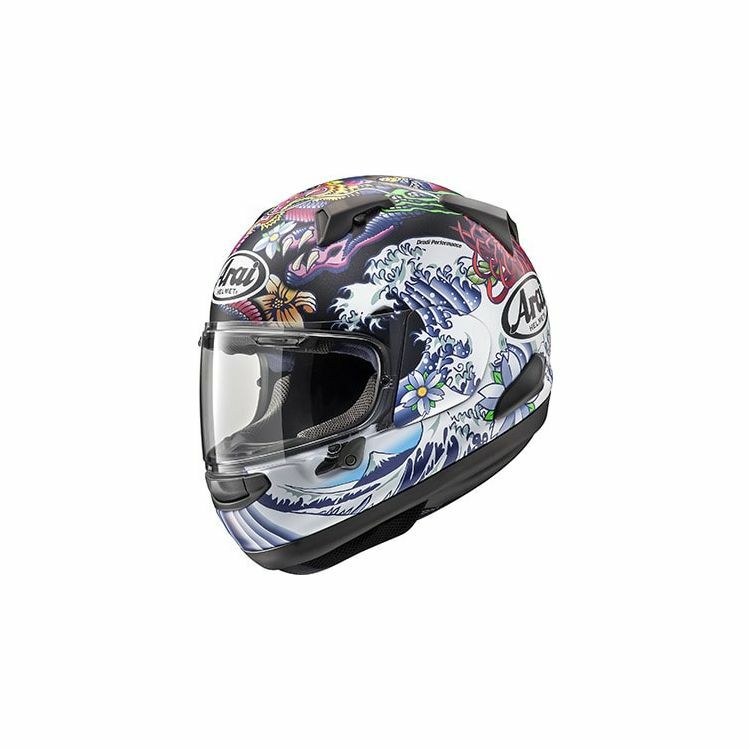 The Arai Quantum X Motorcycle Helmet features a chin curtain that helps to block air intrusion from the turbulent air underneath the helmet, as well as increases negative pressure to enhance the exhaust ventilation performance. The interior lining includes Arai's signature 5mm peel away ear pocket padding and ear pocket recess to accommodate communicator speakers. I wear a size L in the Icon Variant helmet. Do I need to re-measure for the Arai helmet? BEST ANSWER: My wife wears a large shoei Qwest and the Quantum-x she can actually wear a small.